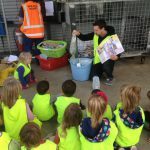 At the Whanganui Resource Recovery Centre, we have educators available to cater for all ages with curriculum based lessons at our Maria Place recycling centre facility. The ‘Harakeke Classroom’ is located on site. Each visit includes a tour of the recycling facilities, looking at what happens to our recycling and talking about ways we can reduce the waste sent to landfills. Contact us today to arrange your visit. Keep up to date with what is going on in the Harakeke Room check out the WRRC facebook page. 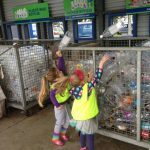 Education is the key to increasing public understanding around recycling. If we educate the next generation about recycling and sustainability then we are creating a better tomorrow.